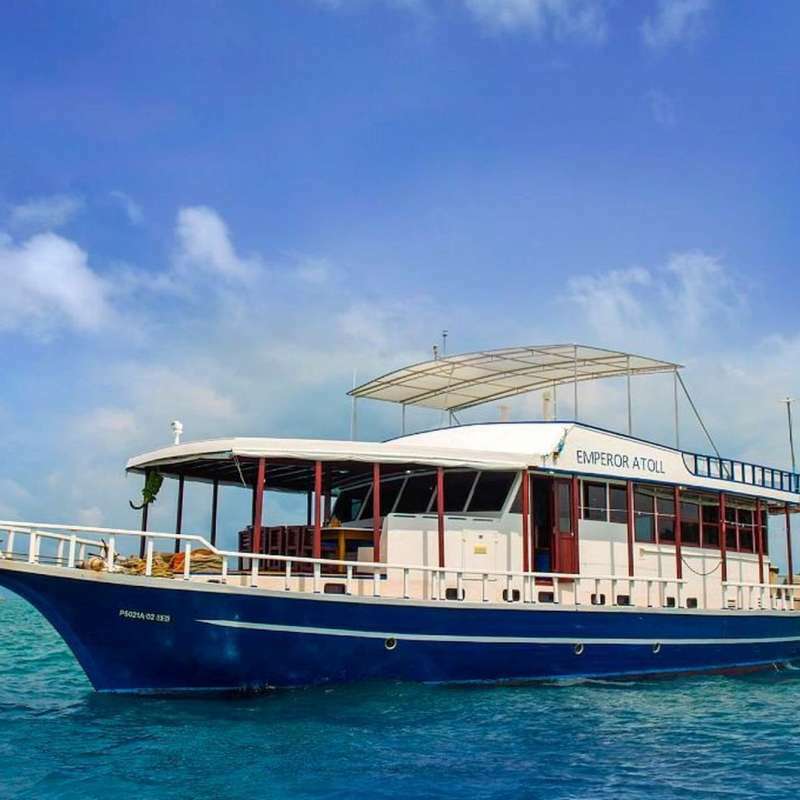 Maldives Grandezza is a professional dive yatch running, it offers a weekly dive liveaboard trip in the Maldives, it can max. host 20 guests per trip. 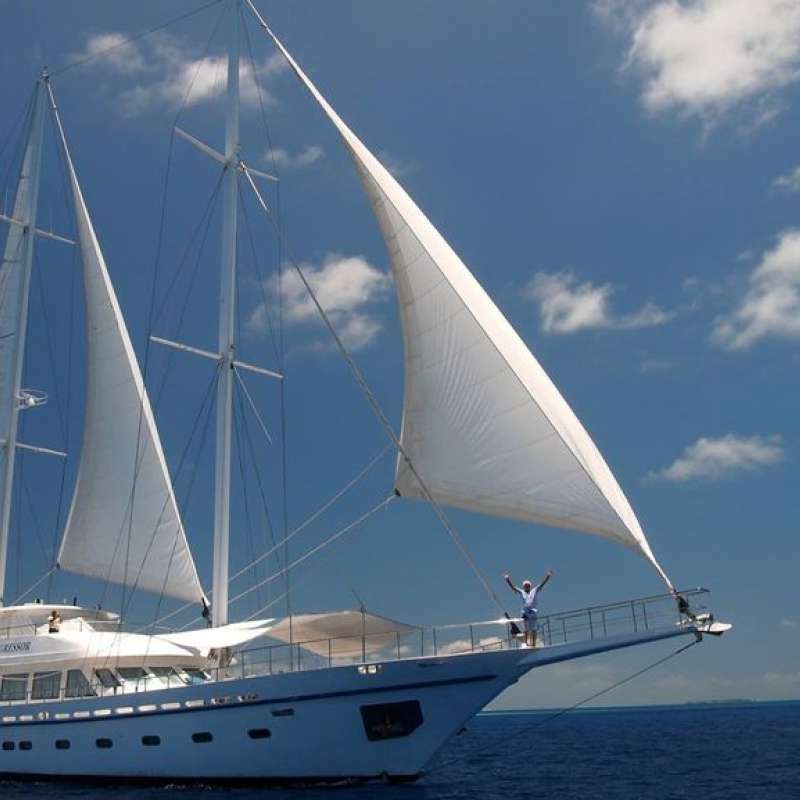 Maldives Grandezza is a 35 metres (115ft) long double masted yacht with a beam of 8.5m, built in 2009, with a steel structure and is equipped with 2 powerful engines and 2 masts with 4 sails that allow to 13 knots of speed. Maldives Grandezza has all the safety requirements that allowed it to be classified by the Italian Registration Body (RINA) and is an Ocean going vessel able to circumnavigate the Globe. It is equipped with the most modern navigation devices like Radar, 2 GPS, eco sounder, SSB, VHF, satellite communication system etc. Maldives Grandezza features a beautiful spacious air conditioned salon with a TV/DVD, a photo editing computer, a stereo player and a bar. The indoor dining area and galley is adjacent to the salon, there is also an outdoor dining area. In the stern there is’ an outdoor area, covered with a large sofa and a table for photos and video amateur divers and an area for recharging equipment photos and videos. In the upper deck there is spacious and comfortable sundeck with a removable sun protection, chaises lounges and chairs deck. Maldives Grandezza will take you exploring through waters of azure lagoons, coral gardens bustling with multi colored marine life, snow white sandy beaches circling lush green patches of islands, caressing cool breezes of the Indian Ocean, breath taking sun sets, moonlit silvery nights and the serenity as a whole that would re-awaken the mind and soul. Maldives Grandezza has 10 comfortable guest cabins, it can sleeps up to 20 guests per trip. All cabins individually controlled air conditioning and an en suite private bathroom. Located on the lower deck, each cabin comes with two single bunk beds, portholes. Located on the lower deck, each cabin comes one double bed (lower) and one single bed (upper) in bunk-style, portholes. up to 4 dives per day, depending on the actual conditions and program. Le Nautilus Two est un bateau traditionnel des Maldives proposant des croisières de plongée aux Maldives. Il peut accueillir jusqu'à 24 passagers à bord. Emperor Atoll a été construit dans un standard de confort. Parfait pour un 'avant-goût' de croisière, il vous emmènera dans les atolls du centre des Maldives toute l'année. Il peut accueillir un maximum de 12 plongeurs à bord. Ocean Divine est un yatch de haut standing opérant depuis plusieurs années aux Maldives et géré par le français David Mesnard, plongeur et surfeur depuis des années ici, il vous accompagnera sur les meilleurs spots des Maldives. Bateau principalement pour la privatisation pouvant accueillir 14 personnes à bord.